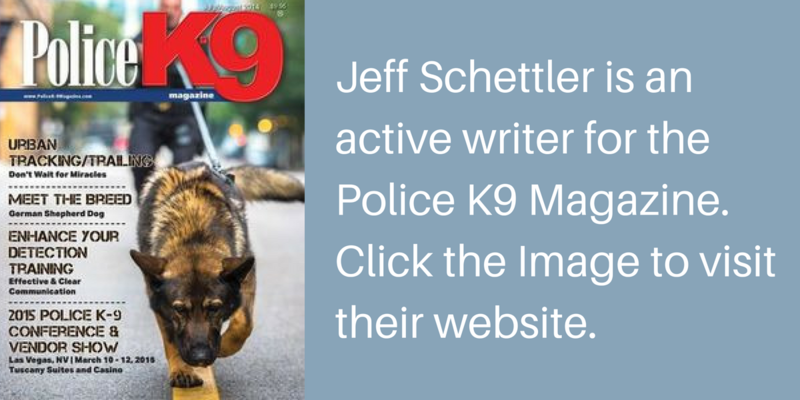 Jeff Schettler is a retired police K9 handler, who was attached to the FBI’s Hostage Rescue Teams’ K9 Assistance Program for two years. This program was designed to locate and apprehend high-risk fugitives on the run. Schettler has worked hundreds of trailing cases across the U.S. and is a specialist in the areas of tactical tracking applications. Schettler is a certified military trainer, graduating from the prestigious US Army’s Leadership Academy also known as Drill Sergeant School. His work has been seen on CNN, ABC, CBS, Unsolved Mysteries, and MYTHBUSTERS. 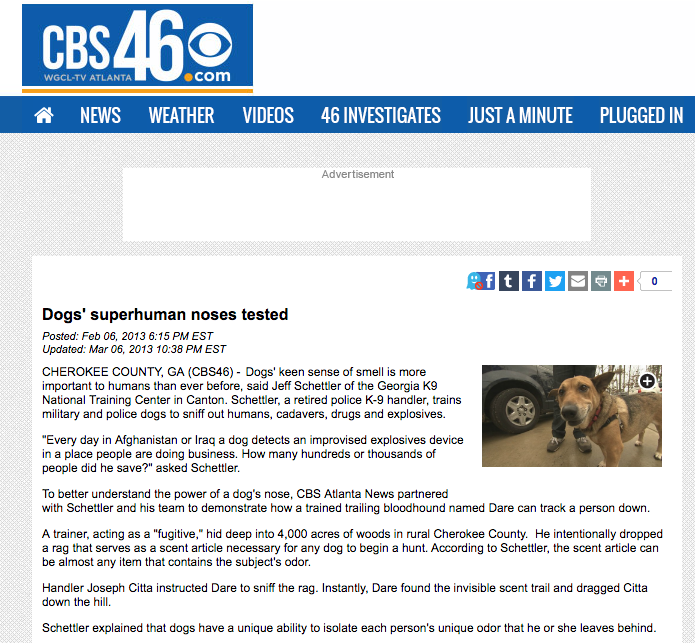 He is considered an expert witness in tracking/trailing and the author of four books on K9 Tracking Work published by Alpine Publications. 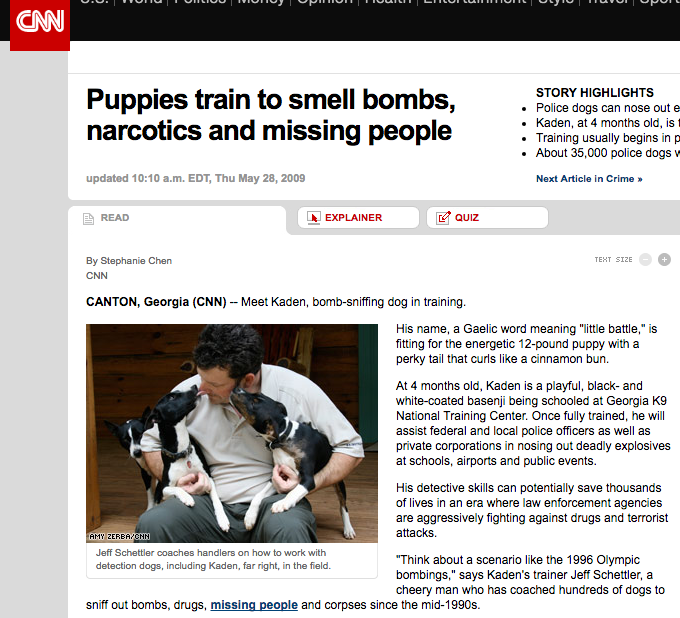 He also writes for K9 Cop Magazine. 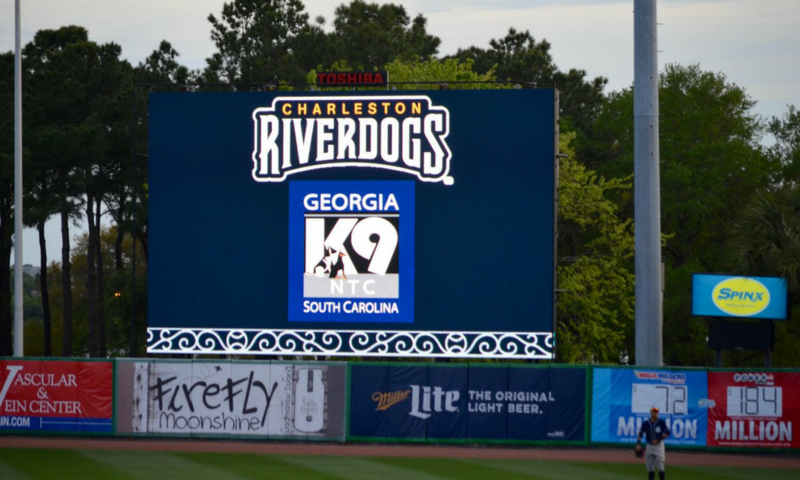 Meet Havoc, GAK9’s very own bat dog for the Charleston RiverDogs Baseball team! 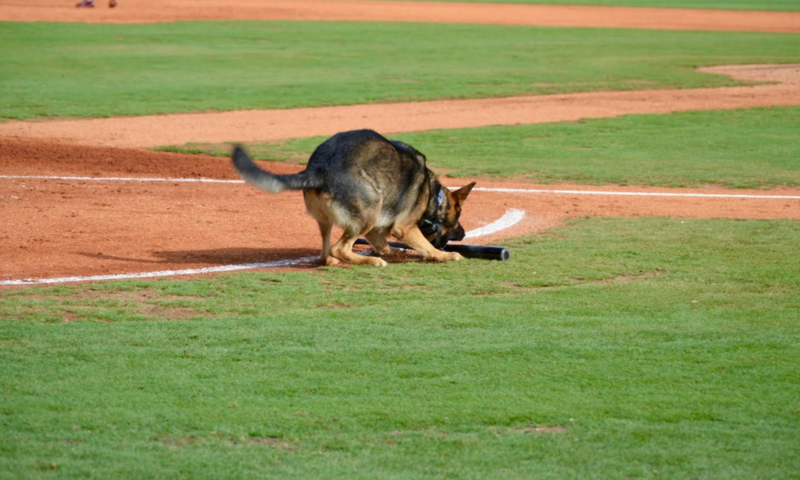 Havoc helps to retrieve the baseball bats off the field during Monday night home baseball games. He is a crowd favorite and loves to put on a show! 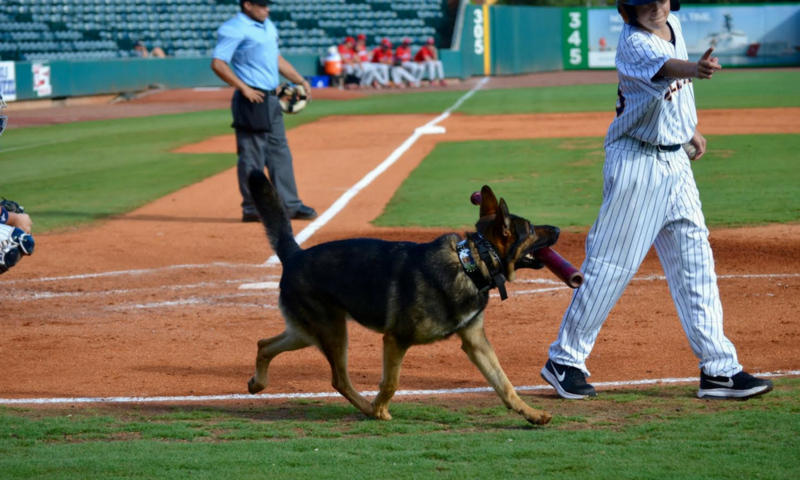 Havoc rushing to grab the bat! 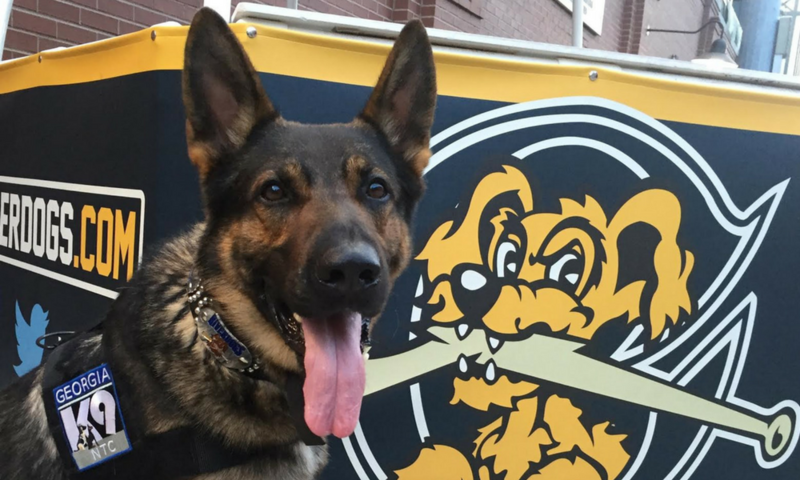 Come visit Havoc at the Riverdogs Home Games on Monday Night!